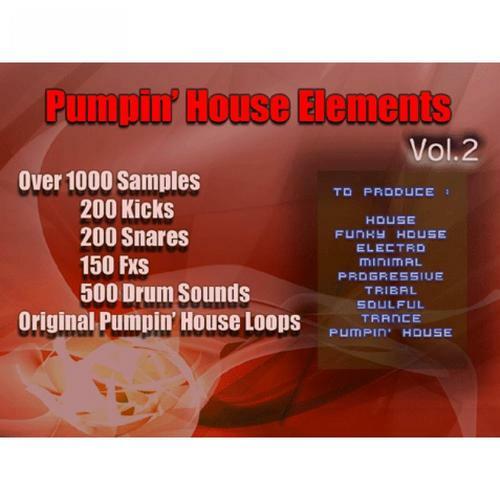 Over 1000 Samples of Fresh Dance Drums and Pumpin House loops.. Kick Triggered Loops which are ready to make your tracks rise to the top of any Dance / Club Chart. If you are into the sound of Fedde Le Grand, Bob Sinclair, Freemasons etc, then this Sample Pack is right for you ..
Producers Djs and Remixers of House, Electro, Tribal, Tech House and Club Mash Ups will be astonished with the quality and variety of sounds. The Pumpin House Loops series are processed with Top Audio Processors (including Manley, Focusrite, Lexicon etc) and bundled into 19 categorized folders with different Bpm settings and Content.. This is the follow up to Pumpin House Vol. 1, that accomplishes the whole set, for serious Dance Producers only. Fresh & Phat Drums samples and Loops for all tastes..
16 Bit Wav â�� 44100 Khz.